As a musician, artist, and iconic rock figure, Slash has left a lasting imprint on the world that cannot be measured in a few short words. 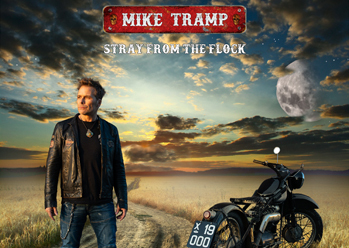 His trademark sound is as original as it is unmistakable. 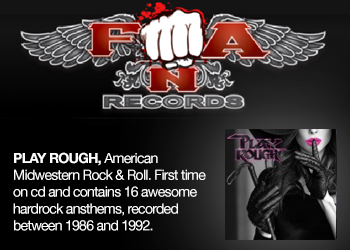 His music catalog spans several decades, a body of work that has given us some of rock’s greatest anthems. From television and radio to professional sporting events, his music continues to provide a soundtrack for life. Never satisfied with resting on past laurels, Slash continues to evolve as an artist and pursue new creative outlets—one reason for the continued success and vitality of his career. Most recently, the legendary guitarist/songwriter can be seen featured in the latest installment of the wildly popular video game Guitar Hero for which he wrote and recorded the game’s theme song and his character’s guitar solo. He also licensed a few of his greatest hits, including the Guns N’ Roses classic, “Welcome to the Jungle.” Launched by a worldwide marketing campaign that featured his distinctive likeness, the game shattered previous records by selling over $100 million in its first week of release. In 2007, the game took in a whopping $820 million in total sales while opening the floodgates to a whole new generation of fans. As busy as ever, his current schedule is filled with numerous projects, including an animation series, several internet projects, a clothing and jewelry line, a scripted tv series based on his life—being developed by his wife and her company, Honey Pot Entertainment—and a solo project with the working title, Slash & Friends, an album of special guest collaborations. In April of ’08, Gibson Guitar commissioned a Slash-inspired Les Paul. Billed as the “ultimate rock guitar from the ultimate rock guitarist,” the guitar has quickly become an in demand model. 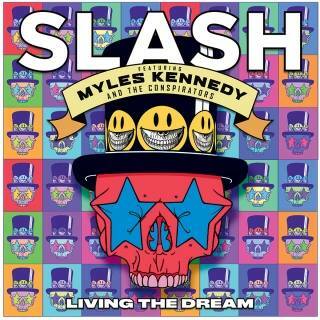 In the fall of ’07, Slash released his long-awaited self-titled biography. He promoted the book by signing copies for fans in bookstores worldwide as well as making numerous guest appearances on the American talk show circuit with visits to David Letterman, Howard Stern, and Jimmy Kimmel. Critically well-received, the book climbed the bestseller list in both the US and UK on its way to selling more than 200,000 copies. Various projects aside, Slash is never far from his first love, music. His current band Velvet Revolver recently completed a tour of Europe, Australia, the Middle East, and the States in support of its second album, Libertad, which has spawned several chart topping singles. VR’s debut release Contraband reached multi-platinum heights and earned the band a 2005 Grammy Award. In 2003, he picked up another Grammy nomination for his impassioned interpretation of the Godfather theme, a contribution to the soundtrack for The Kid Stays in the Picture, a documentary about celebrated film producer and his long-time friend, Robert Evans. 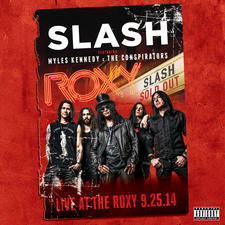 Slash has lent his talents to numerous relief and volunteer efforts through recordings, appearances, and performances. Following the devastation of the Indian Ocean tsunami, he joined forces with Elton John, Rod Stewart, Ozzy Osbourne, and Andrea Bocelli, among many other notables for an all-star version of “Tears In Heaven,” to raise money for medical care and reconstruction for the hundreds of thousands victims displaced by the natural disaster. At the invitation of several film producers and directors, Slash began scoring music for feature films as well as writing and recording songs for soundtracks. His compositions can be heard throughout the award winning bio pic Ray. He has also worked on several Quentin Tarantino projects, including Jackie Brown and Curdled. His list of credits runs the gamut from comedy to action, among them box office blockbusters such as The Hulk, Terminator 2, Judgment Day, and Big Daddy. Slash continues to take full advantage of all the opportunities that life affords him. From GT racing to his drawing and animation. But most importantly, he always makes sure that there is enough time in the day to spend with his beautiful wife and two young sons. In 1985, Slash burst onto the scene with Guns N Roses. The band’s debut album Appetite For Destruction is the second highest selling debut of all time and remains one of rock’s most revered albums. 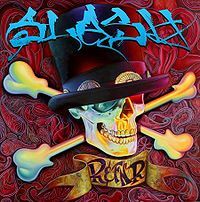 During Slash’s tenure with GN’R, the band released five studio albums, two EPs, one live album, and three music video DVDs. 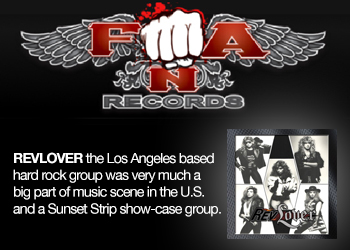 They cemented their reputation as a live act by playing sold-out stadiums across the globe. 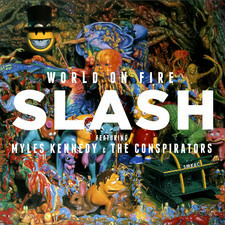 After leaving Guns in 1995, Slash formed his own band Slashs Snakepit and released two albums. In 2003, Velvet Revolver was formed by Slash with ex-Gunners Duff McKagan and Matt Sorum. An extra guitar was added with the inclusion of Wasted Youth’s Dave Kushner. STP’s Scott Weiland would later join as the vocalist. 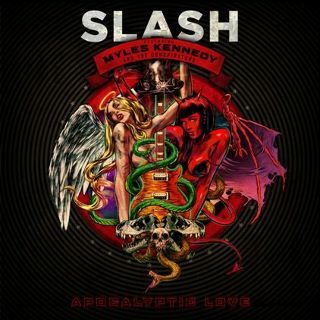 Slash has amassed album sales nearing an astounding 100 million copies along with seven Grammy nominations among countless other accolades, accomplishments and acknowledgements.